PBS | Services | Electrical | For installations, maintenance, and repairs, contact PBS. 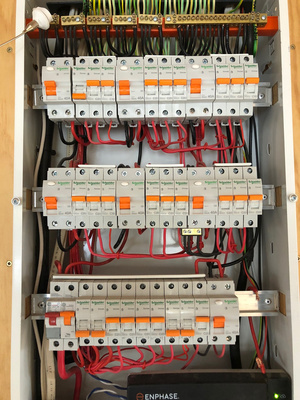 PBS registered electricians cover installations, maintenance and repairs. PBS work on both commercial and domestic projects. Having an electrical branch to their business allows their clients to have no delay on any project that requires both plumbing or gas and electrical work. This means they have a streamlined operation that alleviates any delays, allowing for more competitive pricing. PBS offer qualified electricians, who not only have years of experience in the industry but also a great deal of experience across plumbing, heating and electrical, allowing them to see the bigger picture when it comes to your heating project.